Verizon announced its third quarter earnings on Thursday. The company reported profits of $1.59 billion, up from $1.37 billion during the third quarter of last year. Revenue also jumped from $27.91 billion to $29.01 billion. Verizon Wireless, a joint venture between Verizon and Vodafone, saw a 7.5 percent increase in year-on-year service revenues and a 7.9 percent increase in retail service revenue. The unit also reported 1.8 million retail net additions and a super low postpaid churn of just 0.91 percent. Verizon Wireless now serves 95.9 million total customers. The carrier also noted that it activated 3.4 million Android devices and 3.1 million iPhones during the quarter. Its 4G LTE network now covers more than 250 million people in the United States across 419 markets. "In the third quarter, Verizon continued to deliver double-digit earnings growth and strong cash generation, and we remain solidly on track to meet our financial objectives for the year," said Lowell McAdam, Verizon chairman and CEO. "Verizon Wireless continues to do an outstanding job of balancing growth and profitability. Wireless achieved record profitability in a quarter in which we reported the highest number of retail postpaid gross and net adds in four years." – 56 cents in diluted earnings per share (EPS), compared with 49 cents per share in 3Q 2011 – a 14.3 percent increase. – 64 cents per share in adjusted EPS (non-GAAP), which excludes 8 cents per share in charges, compared with 56 cents in adjusted EPS in 3Q 2011 – a 14.3 percent increase. – 7.5 percent year-over-year increase in service revenues in 3Q 2012; 7.9 percent year-over-year increase in retail service revenues; 31.8 percent operating income margin and 50.0 percent segment EBITDA margin on service revenues (non-GAAP), both record highs. – 1.8 million retail net additions, excluding acquisitions and adjustments, including 1.5 million retail postpaid net connections; low retail postpaid churn of 0.91 percent; 95.9 million total retail connections, 90.4 million total retail postpaid connections. – 4G LTE service now available to more than 250 million people in 419 markets across the U.S.
– 4.6 percent year-over-year increase in consumer revenues, the highest in a decade; consumer ARPU (average revenue per user) up 10.3 percent year over year, to $103.86. – 136,000 FiOS Internet and 119,000 FiOS Video net additions, with continued increased sales penetration for both products; 5.3 million total FiOS Internet, 4.6 million total FiOS Video customers. Verizon Communications Inc. (NYSE, Nasdaq: VZ) today reported a third consecutive quarter of double-digit percentage growth in year-over-year earnings, as Verizon Wireless generated a second consecutive quarter of record-high margins and Verizon's Wireline segment posted accelerated growth in consumer revenues. On Track to Meet 2012 Financial Objectives "In the third quarter, Verizon continued to deliver double-digit earnings growth and strong cash generation, and we remain solidly on track to meet our financial objectives for the year," said Lowell McAdam, Verizon chairman and CEO. "With our 4G LTE network advantage, well-received Share Everything Plans and unmatched product portfolio, Verizon Wireless continues to do an outstanding job of balancing growth and profitability. Wireless achieved record profitability in a quarter in which we reported the highest number of retail postpaid gross and net adds in four years." Continued Strong Revenue Growth; Year-to-Date Free Cash Flow Up 49.9 Percent In third-quarter 2012, Verizon's total operating revenues were $29.0 billion on a consolidated basis, an increase of 3.9 percent compared with third-quarter 2011. Verizon Wireless Results: Record Profitability, Strong Customer and Revenue Growth In third-quarter 2012, Verizon Wireless delivered the highest number of retail postpaid net additions in four years; strong growth in revenues; an increase in smartphone penetration; and the highest segment EBITDA margin on service revenues (non-GAAP) in the company's history, surpassing last quarter's previous high. – Service revenues in the quarter totaled $16.2 billion, up 7.5 percent year over year. Retail service revenues grew 7.9 percent year over year, to $15.5 billion. – Total revenues were $19.0 billion, up 7.3 percent year over year. – Retail postpaid ARPA (average revenue per account) grew 6.5 percent over third-quarter 2011, to $145.42 per month. Following the recent introduction of the Share Everything Plan and as customers continue to add multiple devices to accounts, Verizon Wireless now reports ARPA instead of ARPU since customers can share data among multiple devices. – Wireless operating income margin was 31.8 percent and segment EBITDA margin on service revenues (non-GAAP) was 50.0 percent, setting record highs for the second consecutive quarter. 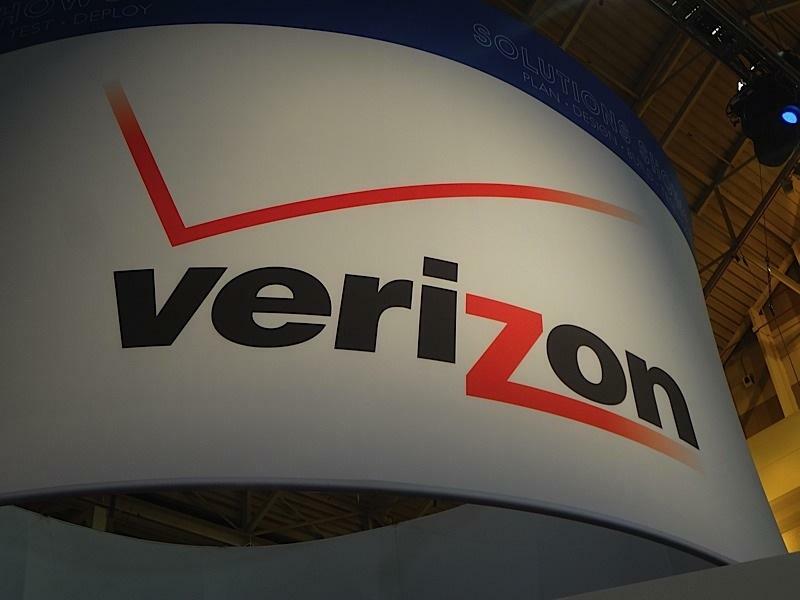 – Verizon Wireless added 1.8 million retail net connections in the third quarter, including 1.5 million retail postpaid net connections, the highest in four years. These additions exclude acquisitions and adjustments. – At the end of the third quarter, the company had 95.9 million retail connections, a 5.7 percent increase year over year, including 90.4 million retail postpaid connections. – Verizon Wireless had 34.8 million retail postpaid accounts at the end of the third quarter, a 1.0 percent increase over the third quarter 2011, and an average of 2.6 connections per account, up 4.0 percent year over year. – At the end of the third quarter, smartphones constituted more than 53 percent of Verizon Wireless' retail postpaid customer phone base, up from 50 percent at the end of second-quarter 2012. – Retail postpaid churn was 0.91 percent in the third quarter, an improvement of 3 basis points year over year. Total retail churn was 1.18 percent in the third quarter, an improvement of 8 basis points year over year. – Verizon Wireless continued to roll out its 4G LTE mobile broadband network, the largest 4G LTE network in the U.S. As of today (Oct. 18), Verizon Wireless 4G LTE service is available to more than 250 million people in 419 markets across the U.S.
– The company introduced seven 4G LTE smartphones in third-quarter 2012: the DROID Incredible 4G LTE by HTC, Samsung Galaxy S III, Pantech Marauder, Intuition by LG, Samsung Galaxy Stellar, DROID RAZR M by Motorola, Apple iPhone 5; and one 4G LTE tablet, the Samsung Galaxy Tab 2. The company also announced the availability of the DROID RAZR HD and the RAZR MAXX HD by Motorola, which are launching today. – After receiving FCC approval in late August, Verizon Wireless purchased AWS spectrum from SpectrumCo and Cox Communications, and also completed its spectrum transactions with T-Mobile USA Inc., Leap Wireless and Savary Island Wireless. Wireline Results: Accelerated Consumer Revenue and ARPU Growth In third-quarter 2012 in the Wireline segment, FiOS revenue growth led to strong overall revenue growth among U.S. consumer customers. In global enterprise and wholesale, increased sales of strategic services helped mitigate lower revenues resulting from continued secular and global economic impacts. – Third-quarter 2012 operating revenues were $9.9 billion, a decline of 2.3 percent compared with third-quarter 2011. Wireline operating income margin was 0.4 percent, compared with 0.5 percent in third-quarter 2011. Segment EBITDA margin (non-GAAP) was 21.7 percent in third-quarter 2012, compared with 21.4 percent in third-quarter 2011. – Consumer revenues grew 4.6 percent compared with third-quarter 2011. This is the highest year-over-year quarterly revenue increase in a decade and compares with a 2.5 percent year-over-year increase in second-quarter 2012. – Consumer ARPU for wireline services increased to $103.86 in third-quarter 2012, up 10.3 percent compared with third-quarter 2011. This is an acceleration from an 8.5 percent ARPU increase, comparing second-quarter 2012 with second-quarter 2011. – ARPU for FiOS customers was more than $150 in third-quarter 2012. FiOS services produced 66 percent of consumer wireline revenues in third-quarter 2012. About two-thirds of FiOS consumer customers have purchased a "triple play" of phone, Internet and video services. – Global enterprise revenues totaled $3.8 billion in the quarter, down 3.6 percent compared with third-quarter 2011. Sales of strategic services increased 4.4 percent compared with third-quarter 2011 and represented 53 percent of global enterprise revenues in third-quarter 2012. Strategic services include Verizon Terremark cloud and data center services, security and IT solutions, advanced communications, and strategic networking. – Verizon added 136,000 net new FiOS Internet connections and 119,000 net new FiOS Video connections in third-quarter 2012. Verizon had a total of 5.3 million FiOS Internet and 4.6 million FiOS Video connections at the end of the quarter, representing year-over-year increases of 14.4 percent and 15.4 percent, respectively. – FiOS penetration (subscribers as a percentage of potential subscribers) continued to increase. FiOS Internet penetration was 37.0 percent at the end of third-quarter 2012, compared with 34.6 percent at the end of third-quarter 2011. In the same periods, FiOS Video penetration was 32.9 percent, compared with 30.6 percent. The FiOS network now passes 17.4 million premises. – Broadband connections totaled 8.8 million at the end of third-quarter 2012, a 2.3 percent year-over-year increase. – During the third quarter, Verizon continued building its network of the future by deploying 100G (gigabits per second) technology throughout the U.S. Cloud applications, video distribution applications and wireless technologies, such as LTE, are driving the need for 100G deployment. On its long-haul network, Verizon has connected major metropolitan areas with this next-generation 100G technology. The company has also deployed 100G on several network routes in Europe. – Began leveraging synergies with Verizon-acquired Hughes Telematics Inc. to deliver advanced automotive and fleet telematics and M2M services; and, – Won both Gatekeeper accreditation and a Common Criteria product certification from the Australian federal government – the first company to do so – recognizing the company's expertise in delivering specific Identity Access Management. Pension Funding Details Verizon yesterday announced an agreement to transfer pension assets to The Prudential Insurance Company of America by purchasing a single premium group-annuity contract to settle approximately $7.5 billion of Verizon's obligations for approximately 41,000 participants under its management pension plan. The closing of the transaction, which is subject to certain conditions, is expected to occur in December 2012.